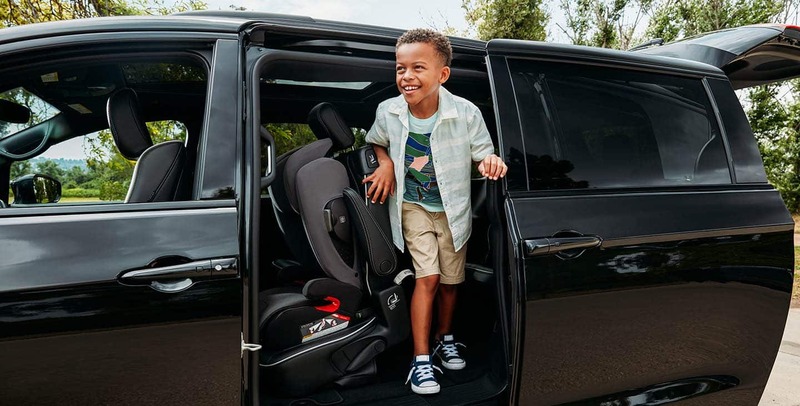 Savings matter when it comes to budgeting a family vehicle, and none will give you more than the 2019 Chrysler Pacifica Hybrid. 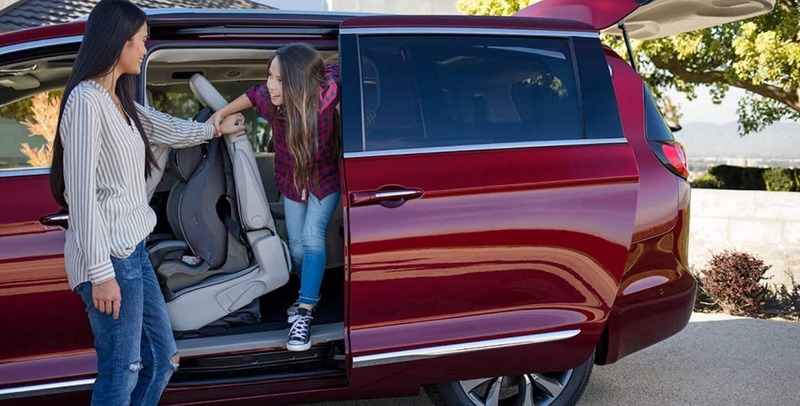 Carrying advanced comfort, easy technology, capable power, and outstanding efficiency, the Pacifica Hybrid has a lot to offer to you and your family. 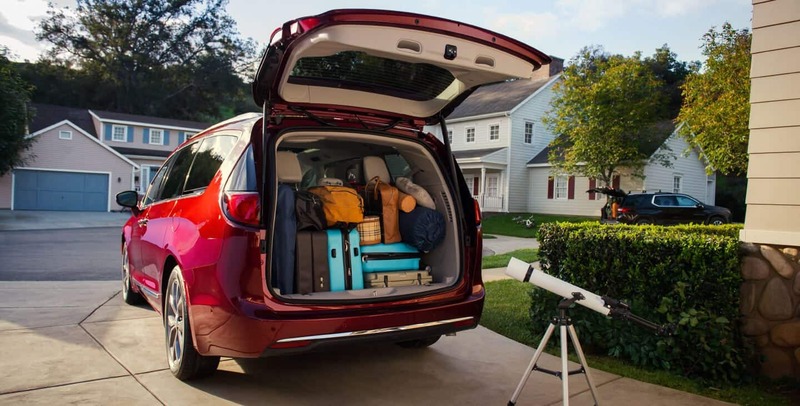 The available features throughout its three trim models provides you with a package of safety and ultimate cruising that the family will enjoy year after year. What efficiency does the Hybrid offer? 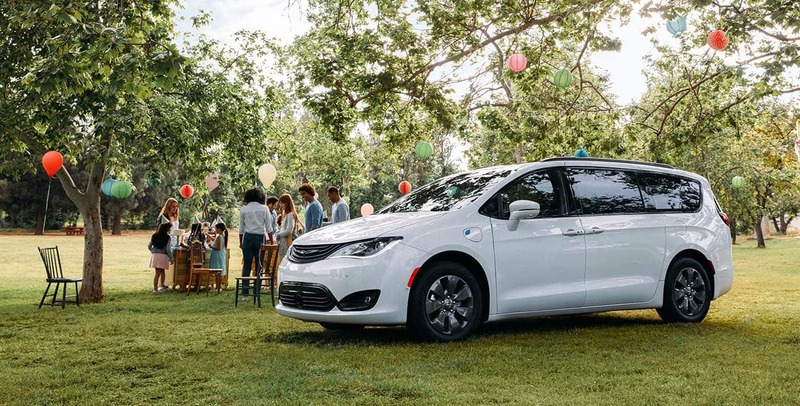 Quiet, smooth, and plenty powerful, the 2019 Pacifica Hybrid provides you with enjoyable capability and pleasing acceleration that won't make this minivan feel laggy or out of its comfort zone on any roadway. 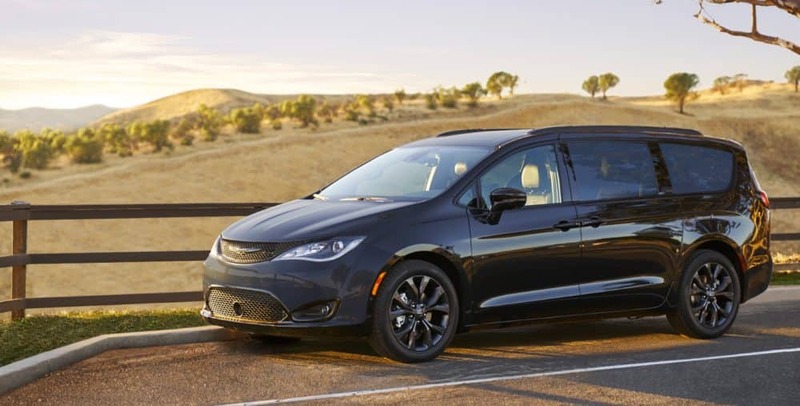 Every Pacifica comes with the well-regarded 3.6L six-cylinder Pentastar; the Hybrid adds dual-electric motors with a 16kWh lithium ion battery. 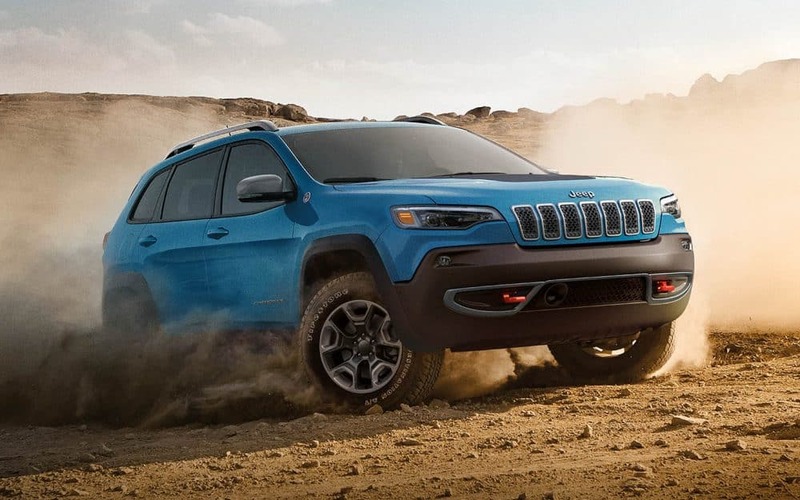 This powertrain is matched to a nine-speed automatic transmission and comes purely in front-wheel drive. You have choice of a quick-charge within a few hours thanks to a 240-volt Mopar charger or using the included 120-volt charging cable, which takes overnight to fully charge. While you're out on the go, the Hybrid keeps a charge thanks to its regenerative braking system, capturing energy from the brakes to self charge its battery. This system has a total of 260 horsepower, and offers you a combined efficiency of 84 MPGe. There's no need to use any fuel while out on quick around-town drives; the battery gives you up to 33 miles of pure electric driving. Altogether, the Hybrid can drive you up to 520 miles on a single tank of gas. What features do the trim levels come with? 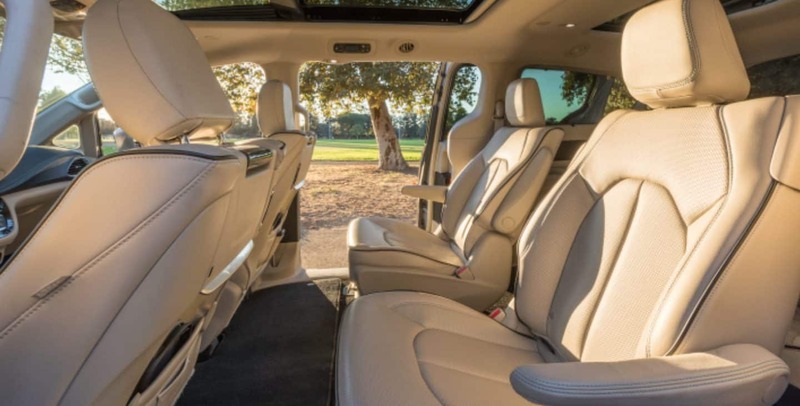 The 2019 Chrysler Pacifica Hybrid seats a maximum of seven people across its three rows, with choice of the second row being a three-seater bench or two captain's chairs. The three configurations are comparable to the same trims in the gas-only powered Pacificas; there's the Touring Plus, Touring L, and Limited trims form which you can choose based on how many features you want. 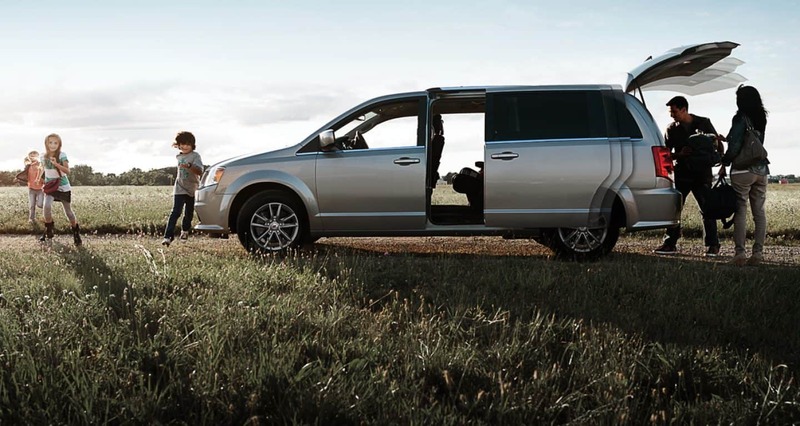 For the base model, the Touring Plus has plenty of convenience and creature comfort built within, including automatic headlights, foglights, heated mirrors, automatic tri-zone temperature controls, and power sliding doors. You'll ride on durable cloth upholstery, driver's seat capable of eight-way power adjustments and four-way lumbar support for personalized comfort the entire trip. Every Hybrid comes with an 8.4-inch Uconnect touchscreen media center that comes with standard Android and Apple smartphone wireless connectivity, Bluetooth with voice commands, HD and subscribable satellite radio, an auxiliary input, and a USB jack for charging and MP3 streaming. The Touring L adds a power liftgate, roof rails, heated and ventilated seating. Upholstery is upgraded to leather, and the passenger seat gains similar adjustments as the driver.From the standard six-speakers of the Plus, the L upgrades to a 13-speaker Alpine audio system and adds active noise control. The top tier Limited enhances safety systems (see below) while adding further convenience with hands-free power sliding doors and liftgate. Navigation become standard, and with this, you can add handy Wifi for business or road trip practicality. The sound system gets another upgrade, as well, introducing the surround-sound premium 20-speaker Harman Kardon audio system. Entertainment for the rear seat can be personalized thanks to the two-screen theater system complete with Blu-ray player, household outlet, HTML input, wireless headphones, and wireless streaming capabilities. 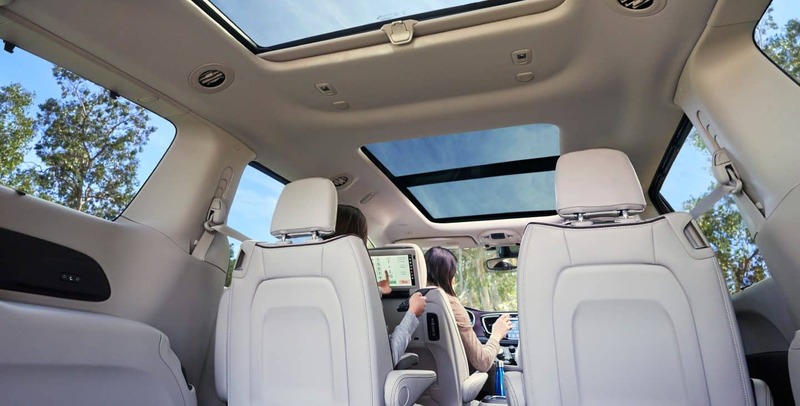 There's also Chrysler's optional Stow 'n Vac built in vacuum for convenient mess clean-up, and tri-pane power sunroof. How does the Hybrid protect my family? Every Hybrid model comes with standard blind-spot monitoring alongside standard rear cross-traffic monitoring and rearview camera with proximity sonar sensor alerts. The Limited adds standard adaptive cruise control, automatically braking to maintain a consistent distance between you and the car in front of you. Automatic high beams and windshield wipers also provide convenience and safety to this top tier trim. 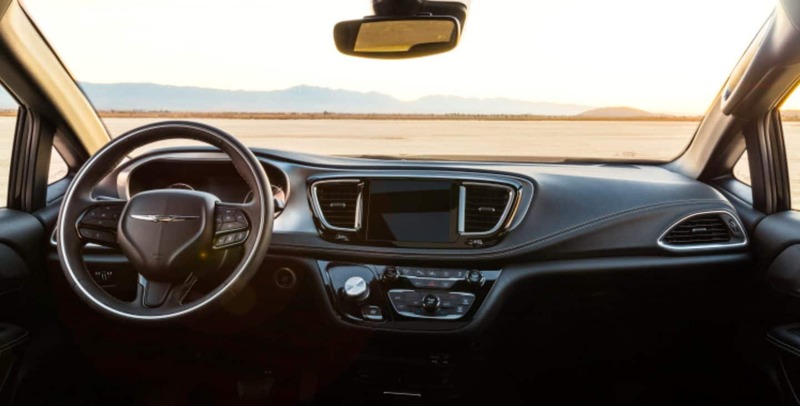 You'll stay extra safe on the road with Chrysler's Advanced SafetyTec Group, an upgradable package of additional driver assist features available on every Hybrid. This equips your vehicle with front collision mitigation, parallel and perpendicular parking assist, lane departure warnings, and an advanced 360-degree camera view displayed on your touchscreen while in reverse. Security is also enhanced thanks to an electronic vehicle tracking system, KeySense, and an advanced security alarm. 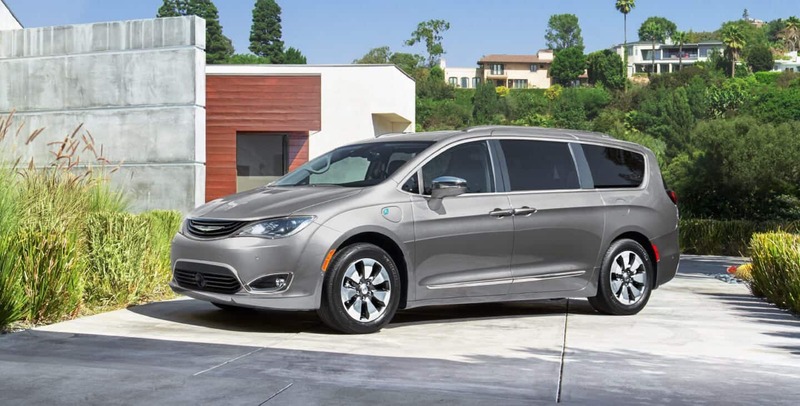 Revolutionary on the market being the first hybrid minivan, the 2019 Chrysler Pacifica Hybrid is a milestone of efficiency, technology, and engineering. This huge legup in mpg is a budget savior, halving how much you'd typically go to the gas station in a non-hybrid vehicle. 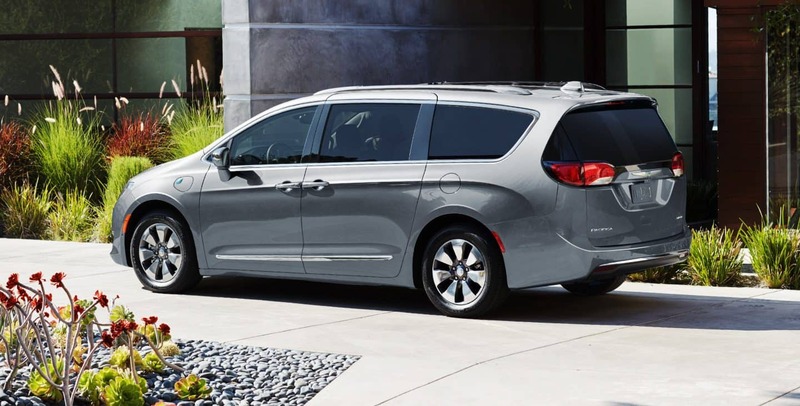 Unique, luxurious, and a top safety pick, the Pacifica Hybrid will serve your family diligently for years to come!